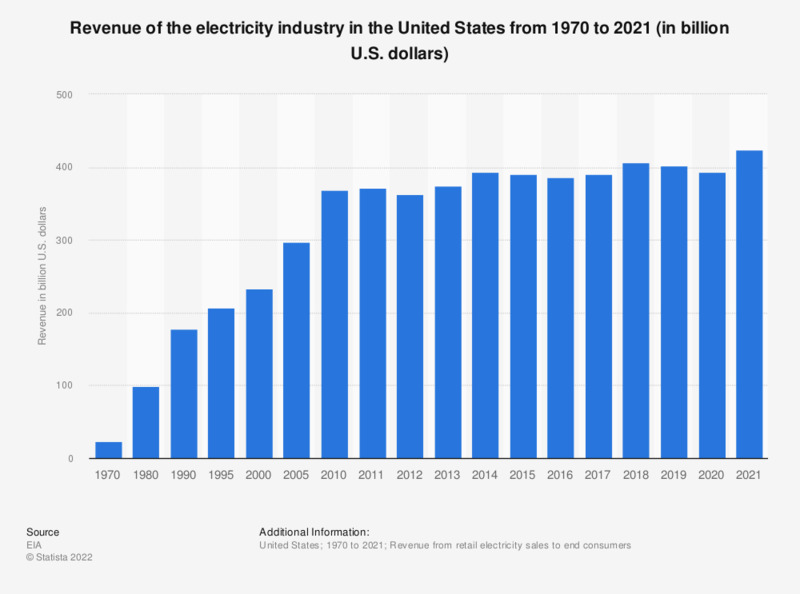 The statistic represents the revenue of the electric power industry in the United States between 1970 and 2017. In 2017, the U.S. electric power industry generated a revenue of around 390.3 billion U.S. dollars. The figure are compiled from previous editions of the annual report; the figures for 1970 through 2009 are taken from the Statistical Abstract of the United States: 2012 (table 952), published by the US Census Bureau in September 2011. Includes other types, not shown separately. Data for 1990 to 1994 are as of December 31, data for following years are average yearly customers.